Giuseppe Verdi’s mid-life masterpiece La Traviata (performances March 7 & 8) is an opera classic beloved the world over. Set in 18th century Paris, it follows the love affair of Violetta, a courtesan, and her admirer, the young and romantic nobleman Alfredo. Missing this opportunity to enjoy this story of high society and narrow minds would indeed be a travesty. Likewise, everyone should see Swan Lake (March 15, 18 & 24) at least once – not just ballet fans. It is an undisputed classic and one of the most beautiful performances to behold in any field. It’s funny to think Tchaikovsky died in 1893 believing he wrote a flop because the ballet’s premiere in 1877 was a fiasco. Witness the gripping story of unattainable love for yourself, all set to Tchaikovsky’s haunting music. 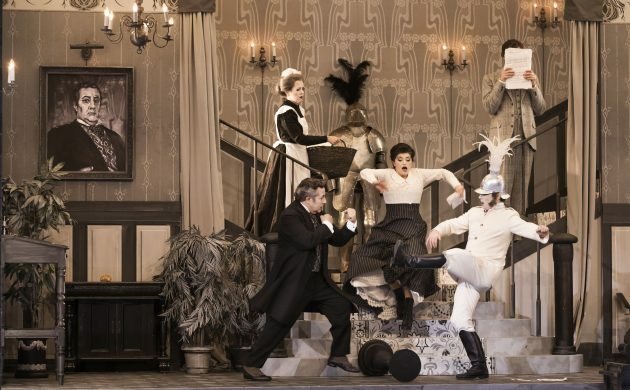 Continuing the late winter procession of well-loved classics is Gioachino Rossini’s beloved 1816 opera The Barber of Seville (March 10 & 14), whose original story was a prequel to the one that spawned The Marriage of Figaro. Like Swan Lake, the Rome premiere was a disaster, but today it is the ninth most performed opera in the world. Completing the quartet is Breakfast with Bournonville (March 14, 16 & 23, 10:00 or 12:00), a ballet matinee aimed at teenagers. Keen to connect with their audience, Kompagni B explores themes such as anxiety, stress and identity crisis.